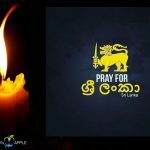 PRAY For SRI LANKA Our thoughts are with SRI LANKA No one can take our freedom. We stand together side by side with all our friends from SRI LANKA. Welcome to Adam’s Apple Club in Chiang Mai – where your fantasies become reality. Enjoy a relaxing drink in our chic host club surrounded by some of Asia’s most good looking young men. As handsome dancers with perfect body’s gyrate to the music, appreciate the splendour of the Asian Male watching the men of your dreams perform in our sensual dance show. One of the longest established gay Go-Go Clubs in Thailand, the famous Adam’s Apple Club is the best known Chiang Mai Host Bar and has for many years set the standard for male entertainment venues. Recently refurbished, Adam’s Apple is a smart modern gay Bar with sumptuous seating, a hi-tech sound system, fantastic light show and many beautiful Asian guys.